PROJECT CONTROL has to do with the PRO-ACTIVE discipline of MAKING things happen. This is where a project manager exerts his influence to achieve the planned outcome. This is part 2 of a series of commentaries that are intended to stir up ideas for the high-tech contractor. They consist of excerpts from “PLUG” or the “Plan Users Guide”, a practical catalyst intended to promote positive change in the automation contractor ‘s world. The complete series will be made available upon request after all modules have been published in AutomatedBuildings.com. its primary goal is to control the project costs; NOT primarily aimed at informing senior management, although that can be a side-benefit. Considering that the accounting reports are something which by their nature are a MUST, it would appear that it would be a good idea to ensure that the accounting system reports satisfactorily in cost content, accuracy, presentation and timeliness. Furthermore, the integration of the ESTIMATING, DESIGN, ACCOUNTING and PROJECT CONTROL information and reports is essential for the 'elegant', smooth and competitively successful operation. sales people commit to the terms and conditions of the sale or estimate. the estimator prepares the estimate. Operations people may be involved in, or actually assemble, the estimate; this leaves sales to concentrate on conceptual sales, free from the estimating tasks. the estimate is put together with the INSTALLATION process in mind. This means that the take-off and estimate is broken up into a number of 'geographic areas' or locations, each of which will include the associated equipment, installation material, and accessory costs which are subject to the same installation difficulty factors, both from an ESTIMATING and PLANNING INSTALLATION viewpoint. after the job is booked, a turnover 'communications' meeting is set up with sales, the Project Manager and the designer present. the Project Manager determines the final breakdown of the 'job' into the control areas. These areas are assigned a designator and a name (e.g. Penthouse, 3rd floor Mech. room..). These areas will form the basis for the engineering design. If successful, this step is basically a confirmation of the Estimate Breakdown. operations designs the job in detail, and re-estimates the job (as designed) in the process. A job engineered estimate is produced that includes equipment, installation material and labor costs, based on the designed equipment and re-scaled or verified conduit and tubing runs. The job re-estimate should be based on, and will hopefully closely resemble, the sales estimate. This re-estimate will be a first Estimated Final Cost adjustment on the project. the job re-estimate data is entered into the accounting system as a ‘milestone’ guidepost. This means that financial projections are now made based on this ‘new estimate’. This is necessary because if there is a difference between the “sales estimate” and the “actual expected cost”, you need to correct revenue expectations so that revenue and profit declarations reflect reality. If you do not, you may end up with a situation where all “expected” costs are incurred in accordance with the SALES estimate, but in reality more work needs to be performed for which there is no revenue left. This messes up all profit and revenue projections, which deprives management (and tax auditors) of a necessary decision tool. Note that engineered estimates are not ‘green lights’ to spend more money than what the job was sold for. The estimate can still be the performance goal, the standard to meet or beat. the job re-estimate (like the sales estimate) also provides labor detail breakdown information; this is used by the Project Manager to put together a JOB PLAN which is based on the re-estimated job details, including all devices, tubing and wiring runs, etc. expected cost ( Estimated Final Cost minus actual to-date) calculation. 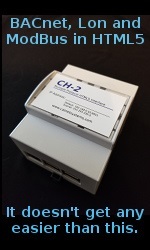 the labor breakdown information is communicated CLEARLY to the installation crew. The information must be simple to understand by the installers, so that the time sheet can be accurately completed (and phoned in?) with the 'area' and 'task' information on any jobs which are being so tracked (large or specifically designated jobs). the Project Manager regularly reviews by building area or other breakout, the labor spent, the labor planned, and the labor required for the tasks still to be performed. He may consult others to determine this information, but it is the Project Manager who will be accountable for keeping the projections current. THIS IS A VERY IMPORTANT PROJECT MANAGER TASK. Any projections that indicate that the expected final job cost (material, labor, subcontracts, and expenses) will be higher or lower than the current Estimated Final Cost (Estimated Final Cost), must result in a new Estimated Final Cost adjustment being recommended to Management. Again, this keeps the revenue and profit picture accurate. Action steps must be taken to ensure that any cost overruns are minimized. This requires that very REGULAR cost projections and cost tracking are necessary for very ACTIVE projects. Review frequency will vary with job 'activity': perhaps MONTHLY at the start, but WEEKLY when significant portions of the job labor are expended. While it is necessary to adjust cost expectations as new ‘facts’ are learned, excessive cost adjustment frequencies may be an indicator that the Project Manager does not have a good grasp of the project’s situation. A re-estimate and recognition that the sales estimate was, in retrospect, not “accurate”, does not alter the fact that the customer’s P.O. did not change. You still have only X dollars to complete the work. It is still your goal, albeit a more difficult one, to bring the project in at or below budget while satisfying your contractual obligations. An early re-estimate that points out problems, can help you focus on solutions while you still have time. Therefore time is of the essence when assembling the engineered re-estimate – certainly before material is ordered and subcontracts committed to. Only a profitable organization can remain "on the scene", and employ qualified people in rewarding positions. A company can only re-invest the anticipated profit margins if it employs a PROJECT COST CONTROL system that provides employees a framework to effectively control expenditures on contracted work. Each of these elements makes up a significant portion of contract costs. To control “costs" we must have the means to know quickly what the cost should be, when the costs exceed the expected numbers, and find ways to change the situation before it’s too late. It will be shown that each cost category must be looked at slightly differently as related to cost control. The common element in the control of all the cost categories, however, is PEOPLE getting a handle on what the costs SHOULD be, (by predicting, estimating or planning), and then Controlling the actual EVENTS through proper ACTIONS in such a manner as to meet or exceed the expected profit TARGET. The principles of project control are well documented for the general Construction Industry. Many words have been put to paper over 'Project Control', 'Project Management', 'Cost Control' , etc.. The volumes of work directed at the subject offers a clue regarding the importance of these subjects, or more accurately, the importance of their benefits. Some success has been achieved by selected companies or people in different contracting fields, but we must take care not to blindly import the practices of a different business without examining their chances for success in our business. For indeed, the Mechanical or Electrical contracting industry is not identical to our own “high-tech” world. They can often act as brokers, and ‘sub out’ the risk as much as possible, even though their scope is typically well defined in plans, specifications and custom. The high-tech scope of Automation is less clearly defined, often vague and open to interpretation – perhaps not always by accident. To be sure, there are a number of steps and principles that apply to our business as well as theirs. However, there are important differences related to the amount of control, size of job crews and contract amounts that cause our needs to be somewhat different. Also, due to smaller crew sizes, the amount of direct supervision given to installation personnel in the Facility Automation Industry may be lower than in the traditional contracting trades. But although much has been written about "project control", the attempts to apply the lofty theories have not always been rewarded with great success. Throughout the Facility Automation Industry, many examples can be found of projects gone sour. The risks are great. So, in addition to the construction industry's "standards", specific techniques may apply to our business. In several instances, the Facility Automation Industry has approached the issue of Project Cost Control in a scientific manner, from a standpoint of 'by-the book' job planning and detailed cost control. Under 'Good Estimate' conditions, financial failures may still occur that can often be traced to the lack of effective cost control by the 'project execution team'. On the other hand, under 'Bad Estimate' conditions, often a project has been successfully managed by the 'execution' team, and the contract's financial outcome was better than anticipated. We must immediately draw attention to the fact that a project's financial failure, or at the very least financial hardship, is virtually assured if the cost predictions (estimate) are unrealistic. However, within a certain area of reasonableness, the project profitability can be achieved, regardless of the moderately flawed estimate. A Reasonable estimate is one which is 'accurate' in its count of the quantitative cost elements such as devices, installation materials and lengths of pipe, conduit and wire, and has 'sensible' assumptions made about the intangible cost elements such as risks and labor contents. 'ACCURATE' can be defined as precise, without errors, and in the context of our estimates, is easily understood by all. 'SENSIBLE' is taken to mean that careful, realistic judgment based on standards and the estimator's or other person's experience be made when considering the likelihood of the risks or labor content involved. When estimates are 'Reasonable', a good 'Execution team' will have an opportunity to meet or even exceed the estimated profit, through the application of sound project and cost control measures. However, failure to use proper measures may still result in financial failure. 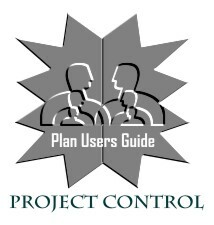 It is the goal of this Plan Users Guide (“PLUG”) to encourage people to adopt the proper application of these control measures, in order that they may meet cost objectives. GOOD project control is, quite simply, SUCCESSFUL project control. While any attempt at project control is better than none at all, there are vast differences in success rates, depending on the methods employed. The complexity, size, and other project-dependent factors have their own effect on the methods employed, and their relative success. What differentiates successful project control methods from the less successful ones? To exercise such an influence over (something) as to guide, direct, manage, or restrain (it); to have under command; to check. ... Much has changed since 1904, but those basics remain intact. The key secret: 'CONTROL' is a PRO-ACTIVE activity. It requires that an influence be exercised that positively affects the outcome. This means that the person seeking to control a project must take ACTION based on a well-reasoned plan, as opposed to REACTING to events after they have happened. Control is not about fixing problems as much as about preventing problems and causing desired outcomes. Notice that the definition does NOT refer to any form of 'historical' comparison of what happened versus what was expected; or actual versus estimate. The difference between successful and unsuccessful project control, is that SUCCESS comes from the PRO-ACTIVE nature of the methods employed. Influence is exercised ONLY if an action plan is established BEFOREHAND, and progress monitored against the established standard. ESTIMATING is PRE-ACTIVE; it has to do with anticipating and predicting what WILL happen or what COULD happen. It is crucial to allowing the project to be built on a healthy foundation. Failure here destroys most chances at a profitable job. MIS REPORTING (Management Information Systems, or Accounting) has to do with the RE-ACTIVE discipline of reporting what DID happen. (History). The PLUG guide is intended to deal with the principles associated with the Pro-active discipline of Project Control. However, there is a RELATIONSHIP between estimating, project control, and MIS cost reporting, which makes each one dependent on the others in a synergistic way. That means, none of the three disciplines can really stand on its own; together, they produce a larger effect than the sum of the individual parts would seem to indicate. Part 3 will deal with controlling costs.